At today's WWDC keynote event, Apple announced iCloud Drive and Mail Drop, two new cloud-based services that are a part of the new OS X Yosemite. iCloud Drive allows users to store all of their individual files from OS X and iOS in addition to data from applications on Apple's cloud storage service, with the feature syncing all files across every Mac. The files stored on iCloud Drive are even available on a user's iOS devices, as the feature also contains support for Windows through the iCloud client. Meanwhile, Apple's new Mail Drop feature bypasses traditional email attachment size limits allows users to send attachments up to 5GB through iCloud. The system is seamless for Mail users, while users on other platforms will receive a links via email to allow them to download the files. 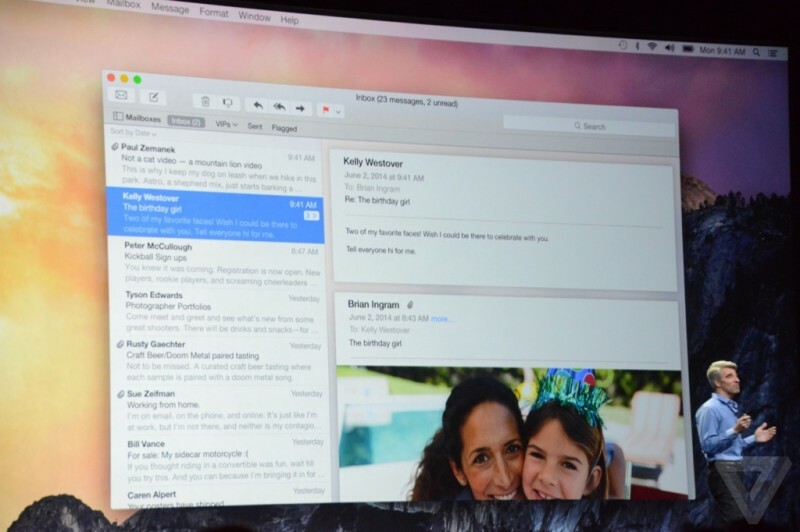 iCloud Drive and Mail Drop will ship as a part of OS X Yosemite, which will be available this fall for free. Apple will now offer the first 5GB of iCloud storage for free, with 20GB and 200GB costing $0.99 per month and $3.99 per month, respectively. Tiers of up to 1TB are also available. Craig is on fire. Best keynote since Steve passing. I agree. I'm guessing they kept Tim off stage as he makes it very boring. Last few he hosted I fell asleep. Then again, this keynote is actually packed with features, most of which people will actually use and not just 'oh that's cool'. I love the concept of iCloud Drive. But I'm not happy with Apple's execution. That 5 GB of "free" storage comes with my iDevice -- and only one of those devices per account. I already get messages that I'm out of storage room just backing up my iPhone, never mind my iPad. Since Apple devices come at a premium price, each one you buy should come with at least 5 GB of storage for free. iCloud should be an incentive to buy an Apple device, not an extra expense after you've bought one. iDisk is back. Curious to see how this will be implemented on the iPhone. So you can afford a premium priced product, but you're not willing to pay $1 a month for 20GB of storage? I was hoping they'd offer a space bump on iCloud for free as i'm almost at 5gb with just iphone+ipad backups and htats with some apps set not to backup. I got used to the temp space offered to MobileMe customers. Guess i'll be getting the new paid option. I was also hoping we'd hear something about iTunes radio in the UK. This is great. Time to dump Dropbox! Until the icloud email stops deleting deleted emails that are a month old I ain't going anywhere near their email service. Deleting the trash can is to save space. Simply move your messages or archive them if you don't want them deleted. He was a lot of fun. It was a great presentation today. I need to see it implemented. I live and die by Dropbox, it has never let me down, no matter what I throw at it. I don't need Dropbox that badly, so if iCloud drive works like Dropbox then I'm switching. 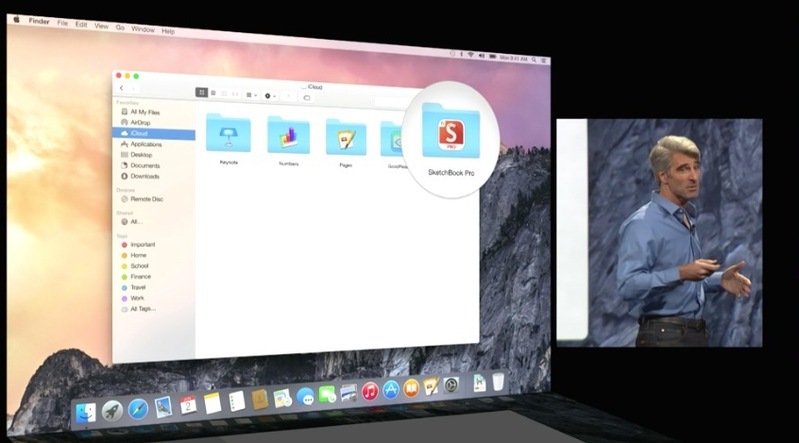 The same functionality built into the OS will be so much better. But for starters this must have offline accessibility to files like Dropbox.